With over 20 years experience as a psychotherapist, Dr. Wanda Malcolm is a registered psychologist who offers individual psychotherapy, couples therapy, and psychological assessments to individuals and couples who are at least 18 years of age. Stress and trauma-related psychological illness, depression, and anxiety are among her clinical interests. Dr. Malcolm also works with people who are having difficulty recovering from emotional injuries caused by relationship hurtfulness. When it is safe and appropriate to do so, she helps clients explore the possibilities of forgiveness and relationship repair as part of the recovery process. Dr. Malcolm has a PhD in clinical psychology from York University where she trained under Dr. Leslie Greenberg, the primary developer of Emotion-Focused Therapy (EFT; www.emotionfocusedclinic.org). 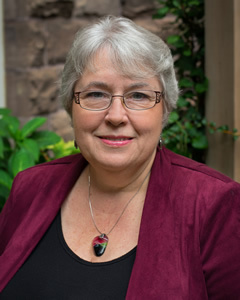 In addition to her private practice, Dr. Malcolm is Professor of Pastoral Psychology at Wycliffe College (www.wycliffecollege.ca; a member college of the Toronto School of Theology at the University of Toronto). Her teaching interests are in the areas of personal wellness, pastoral psychology, pastoral care, and forgiveness and reconciliation. Dr. Malcolm also heads up the Wycliffe Wellness Project (wycliffewellnessproject.com), a program of research investigating the stressors and satisfiers of ministry life.